Seniors with research experience under their belt – check out this great research opportunity! Application deadline 2/28. Mount Sinai is among New York City’s largest employers, with 38,000+ team members in both clinical and non-clinical roles throughout their seven hospital campuses and world-renowned medical school. They are one of the metro area’s largest health care providers, with hundreds of ambulatory, primary, and specialty care facilities across the five boroughs, northeastern region and beyond. Under direct supervision, the laboratory research assistant performs experiments and procedures as assigned; provides support services for research projects. Under the direction of the Principal Investigator (PI), who is a vascular surgeon at the Mount Sinai Hospital, assists with simple to moderately complex experiments using standard techniques in area of specialty assigned; maintains data/results of all experiments. May prepare specimens and/or mix chemicals and other solutions and set up lab experiments. May mentor and/or train less experienced staff. May assign work to less experienced staff as required. Maintains inventory of all research supplies; prepares purchase orders for reagents and supplies. Performs routine maintenance of equipment. Steven and Alexandra Cohen Children’s Medical Center of New York is dedicated to providing the highest levels of care in meeting the special needs of children, from premature babies to adolescents. The specialists in its national and international programs cover a range of specialties. Its 202-bed hospital opened in 1983 as the New York metropolitan area’s only hospital designed exclusively for children. Today it is the largest provider of pediatric health services in New York State. Cohen Children’s Medical Center serves 1.8 million children in Brooklyn, Queens, Nassau and Suffolk counties – providing state-of-the-art care for children’s medical, surgical, psychiatric and dental needs in both inpatient and outpatient settings. Northwell Health is a not-for-profit healthcare network that includes 22 hospitals, the Donald and Barbara Zucker School of Medicine at Hofstra/Northwell, the Feinstein Institute for Medical Research, as well as rehabilitation and skilled nursing facilities, a home care network, a hospice network and progressive care centers offering a range of outpatient services. Northwell Health has more than 12,000 member physicians, and Northwell Health’s Physician Partners employs more than 3,100 physicians and is comprised of more than 550 regional ambulatory locations and physician practices. Application deadlines are March 4th. Find out more about each of the positions by downloading the job descriptions and application. Don’t miss out on this opportunity to learn about summer research AND full-time openings at McLean from recent alumni! The Geriatric Psychiatry Research Program at McLean Hospital is directed by Dr. Brent Forester and addresses cutting edge research questions in the areas of dementia and mood disorders. Current studies include a number of Industry-led Alzheimer’s Disease clinical drug trials, inpatient and outpatient studies assessing treatments of the behavioral symptoms of dementia, longitudinal analyses of older adults with depression and bipolar disorder, and investigations of the applications of technology in mental health care. The Research Assistant positions allow individuals to gain a breadth of clinical and research experience driven by extensive patient interaction and exposure to all facets of research operations. 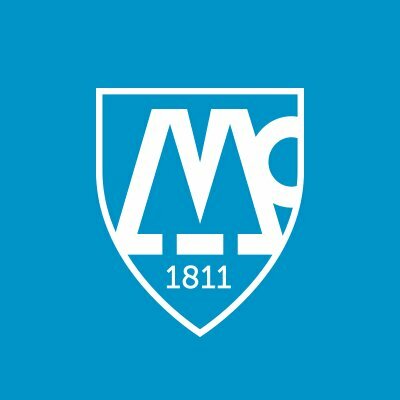 Several Middlebury College students have interned and worked at McLean and have found it to be a highly rewarding experience. Harris Orthopaedics Lab at Massachusetts General Hospital has openings for two full time Clinical Research Coordinators, starting this June, for pre-med track graduating seniors. They are also seeking two rising seniors for an 8-10 week paid summer research internship. Their past and current study coordinators have had the opportunity to make meaningful contributions to research focused on improving standard of care for total joint replacement patients. They also have opportunities for authorship and mentorship by orthopedic surgeons, with whom they work with on a daily basis. For instance, the study coordinator who started at the lab in the summer of 2017 has helped to author two textbook chapters, three manuscripts (two first-authors), and twelve abstracts (5 of which were presented at academic conferences) in the time since he has been working at the lab. Click on the titles to learn how to apply. RA Epigenetics – The Dana-Farber Cancer Institute is looking for an exceptional candidate for a unique Research Associate position. This position affords the exciting opportunity to be part of a research effort at Dana-Farber Cancer Institute aiming to delineate epigenomic aberrations in cancer and discover novel therapeutic targets. The candidate will assist in the development of cancer models from primary human tumors and human cell lines that represent different cellular lineages and drug-resistant states. He/she will use modern next generation sequencing techniques to characterize the chromatin state of these tumors and modern functional perturbation techniques including lentiviral knockdown and CRISPR/Cas9 genome editing tools. He/she will test the model systems in immuno-compromised mice for their ability to form tumors and to test for drug responses. He/she will be part of a multi-disciplinary team that evaluates new technologies and approaches to discover and validate novel systemic cancer biology. Learn more in Handshake. RA Genomics – Dana-Farber Cancer Institute is looking for an exceptional candidate for a unique Research Associate position. This position affords the exciting opportunity to be part of a research effort at Dana-Farber Cancer Institute aiming to delineate genomic aberrations in cancer biology and discover novel therapeutic targets. He/she will use modern next generation sequencing techniques to characterize genomic aberrations and modern functional perturbation techniques including CRISPR/Cas9 and other genome editing tools. He/she will use various model systems to test for drug responses and determine mechanisms of resistance to drugs, including novel immunotherapies. He/she will be part of a multi-disciplinary team that evaluates new technologies and approaches to discover and validate novel systemic cancer biology. Learn more in Handshake. Brought to you by Midd Alum Kayvon Sharif ‘16.5. The THANC (Thyroid, Head and Neck Cancer) Foundation is a non-profit organization committed to supporting research and education in the early detection and treatment of thyroid and head and neck cancer, to advancing new therapies, and to alleviating the suffering and functional impairment of patients who undergo treatment. Role: Research Associates collaborate with an interdisciplinary group of physicians and researchers affiliated with Mount Sinai Downtown Medical Center to conduct and publish clinical research. In addition, Research Associates also play key roles in the development and maintenance of a disease-specific electronic medical record system and an educational website for patients and their families (www.headandneckcancerguide.org). Finally, Research Associates have the opportunity to spend time observing thyroid and head and neck surgery in the operating room. Qualifications/Required Documents: This is a full-time, two-year position. Research Associates must hold a Bachelor’s degree and typically have a strong interest in pursuing a career in medicine. Applicants should have a robust scientific background, excellent writing ability, and previous experience in a clinical environment is desired as well. Provide a cover letter (addressed to Dr. Urken), an updated CV, and two letters of recommendation to ksharif@thancfoundation.org. Please have your recommenders e-mail your letters directly. If selected for an interview, a writing assignment will be required. The application deadline is February 1, 2019 but we are gladly accepting applications before then. For more information, please visit our website (www.thancfoundation.org), or feel free to contact Kayvon Sharif directly with any questions you may have! Both summer research and full-time opportunities are available! Come meet our alumni to find out your options.